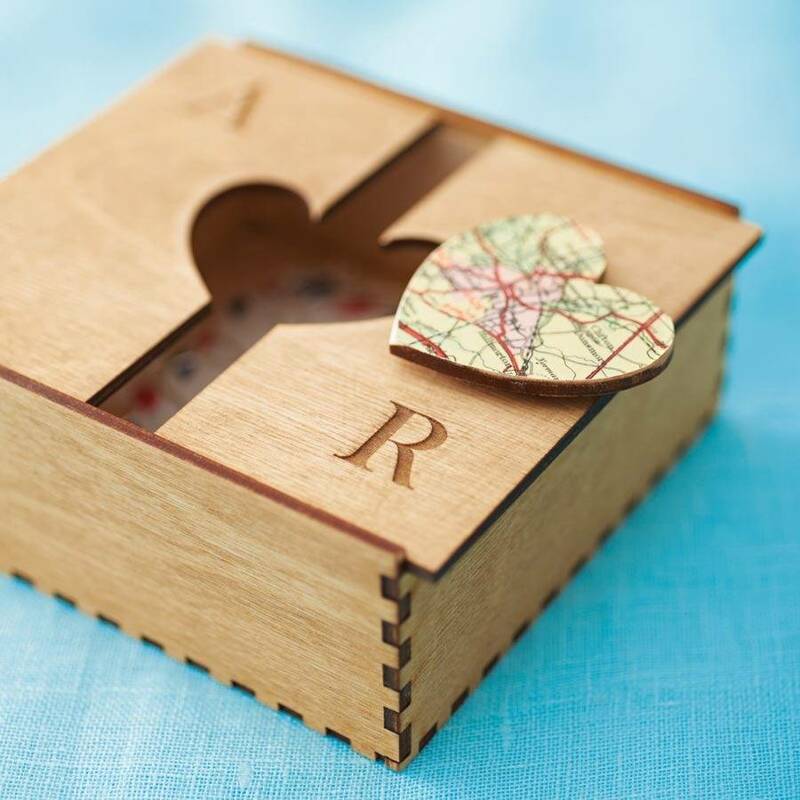 Personalised wedding map heart keepsake box. A personalised couples wedding or anniversary gift. Choose a wedding location or honeymoon destination for the map heart. 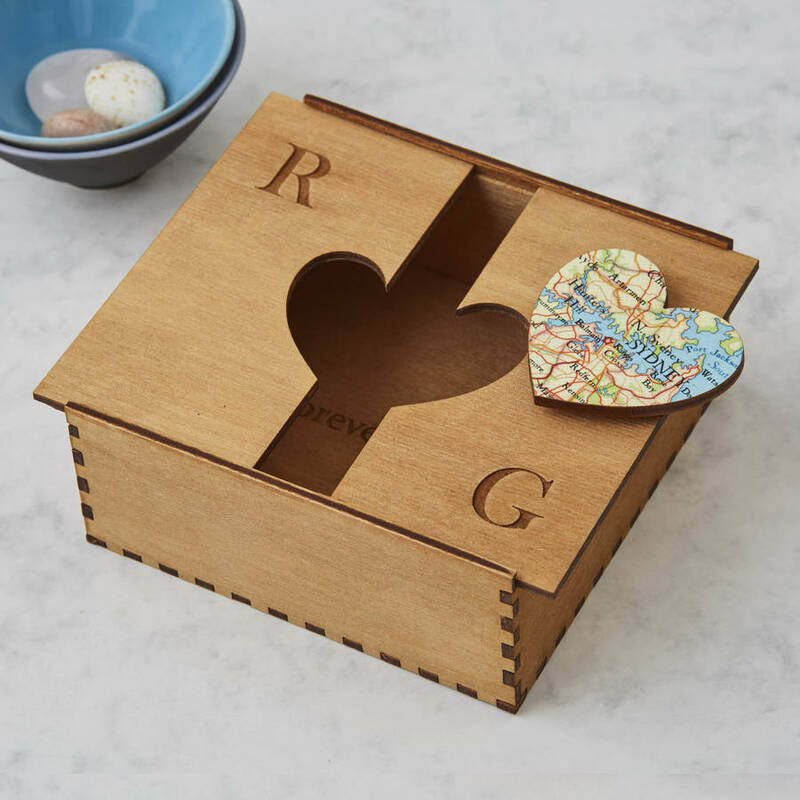 A thoughtful, heartfelt and unique gift, this wooden box is ideal for Valentine's Day, weddings or anniversaries. It’s particularly apt for a fifth wedding anniversary as the traditional gift is wood. 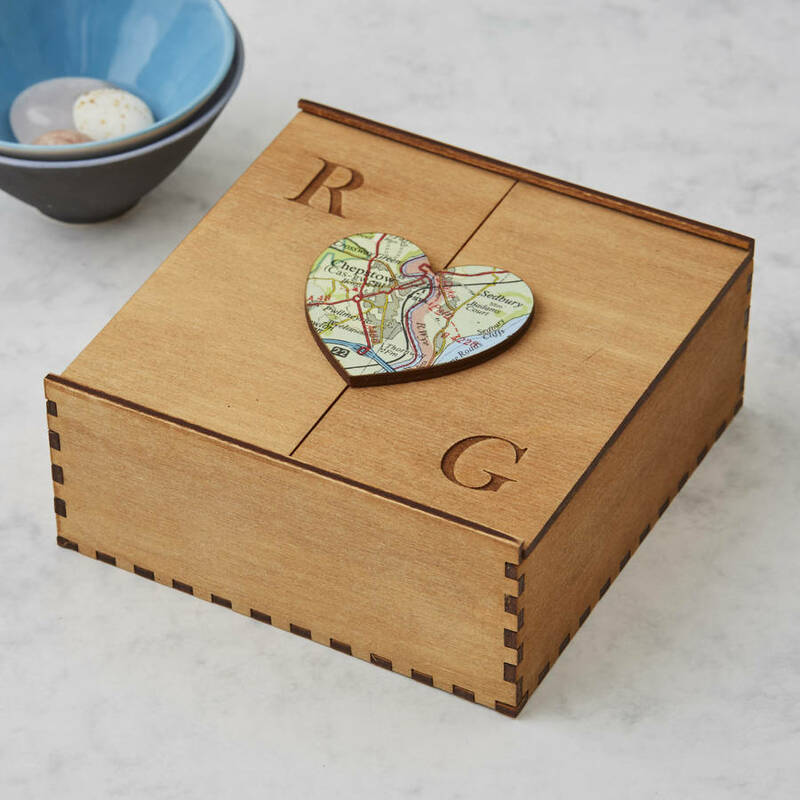 What better than to give a beautiful, meaningful gift made out of a vintage map and wood? 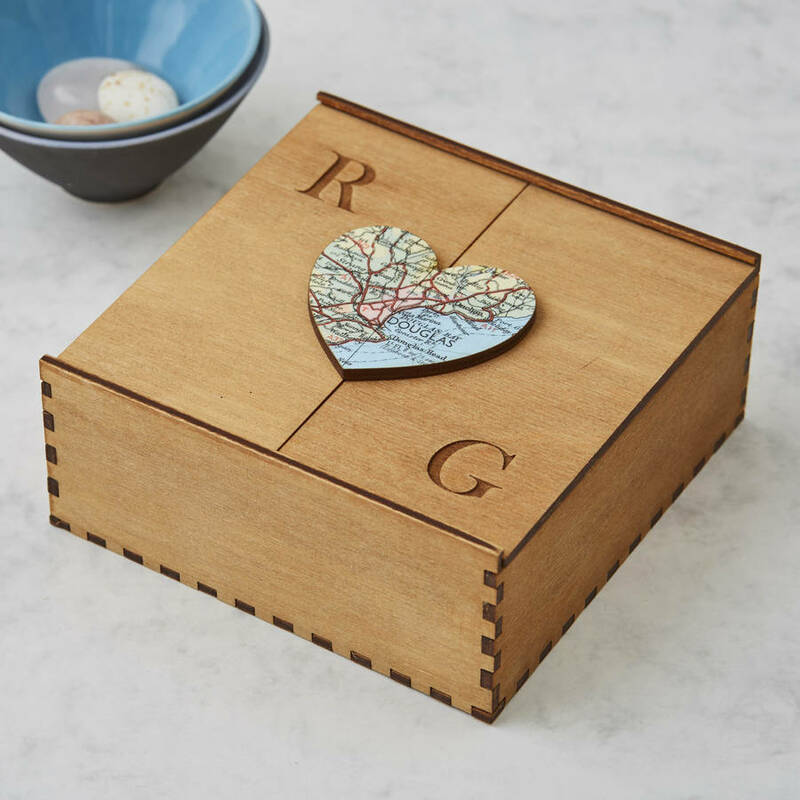 Simply choose a single location that’s dear to their heart, and we’ll find the area from our collection of vintage maps before transforming it into a beautiful bespoke box. 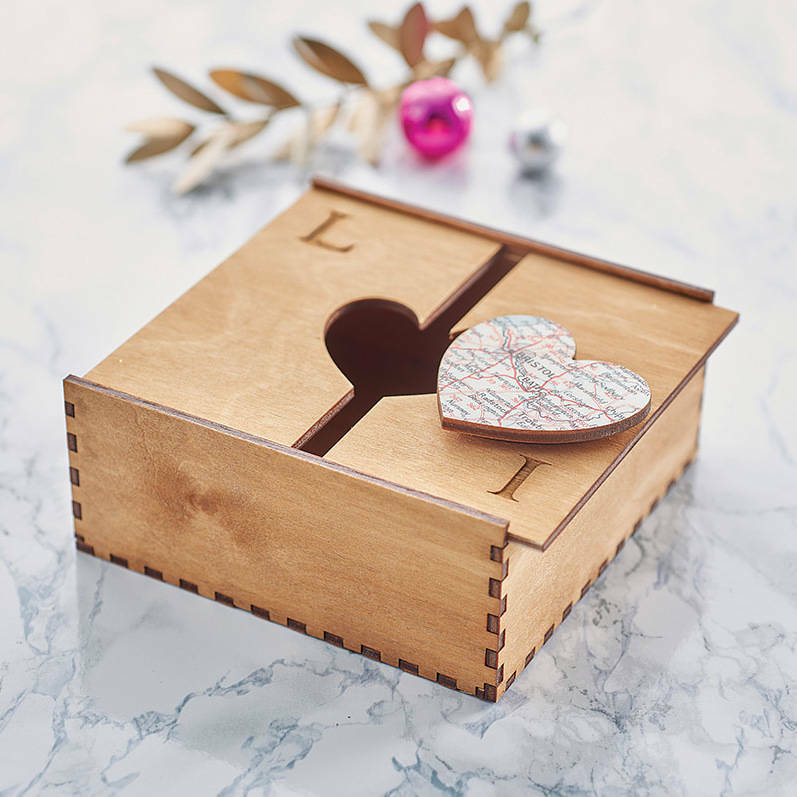 The little wood heart also holds a secret in that it works as a lock to hold the lid closed. Would you like it personalised? 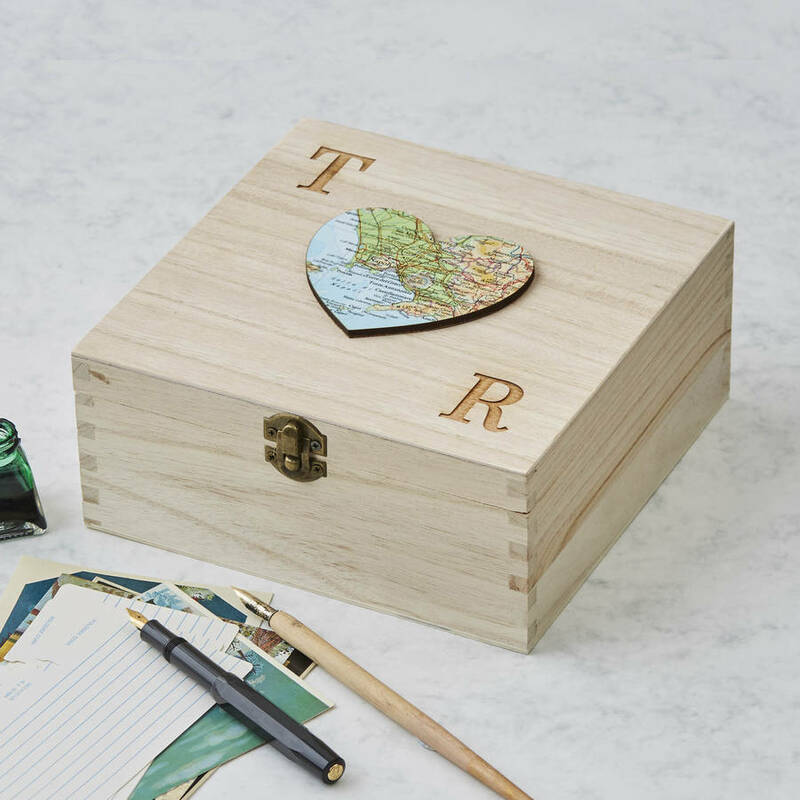 If you'd like additional personalisation, you can choose to have initials engraved on the lid. Would you like a larger box? 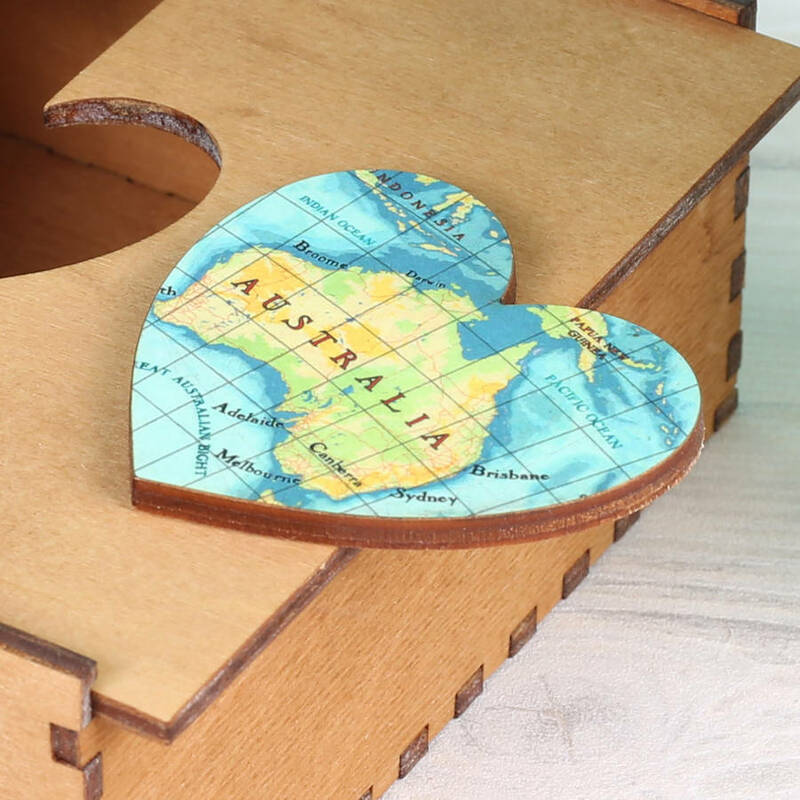 We are delighted to offer a larger (28cm) hinged box that is perfect for keeping photos and other momentos forever. 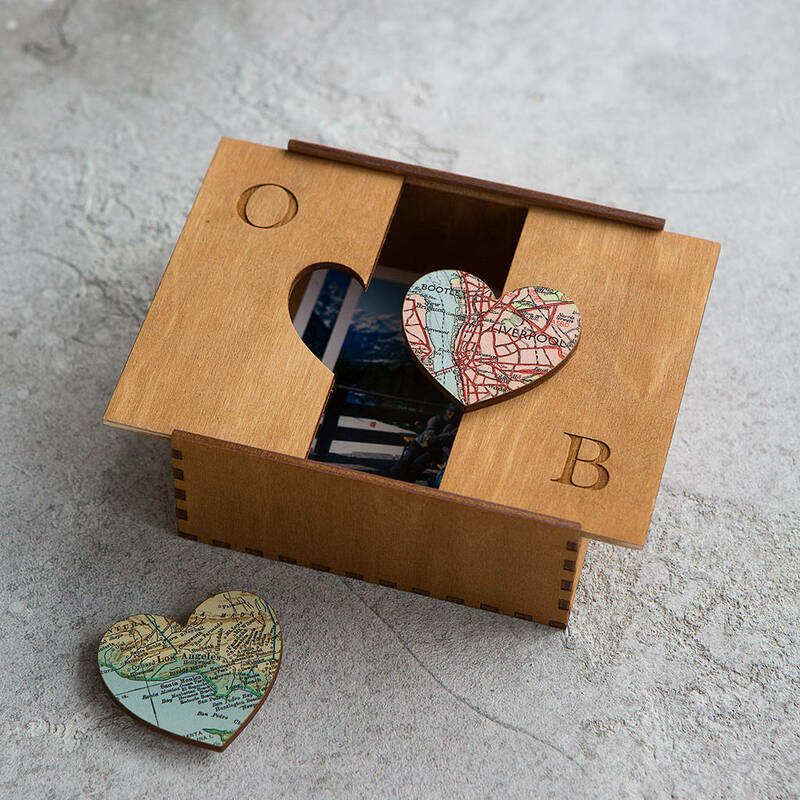 As we use pieces of real maps and never copies, and each one is uniquely handmade for you, we regret we are unable to offer a sample service, or to send photographs for approval or comments. We have more than 15,000 vintage maps in our collection so we're bound to have the one you're after. And if on the rare occasion we don't already have it, we'll do our best to source it for you. Important: please enter only one map location in the box provided. 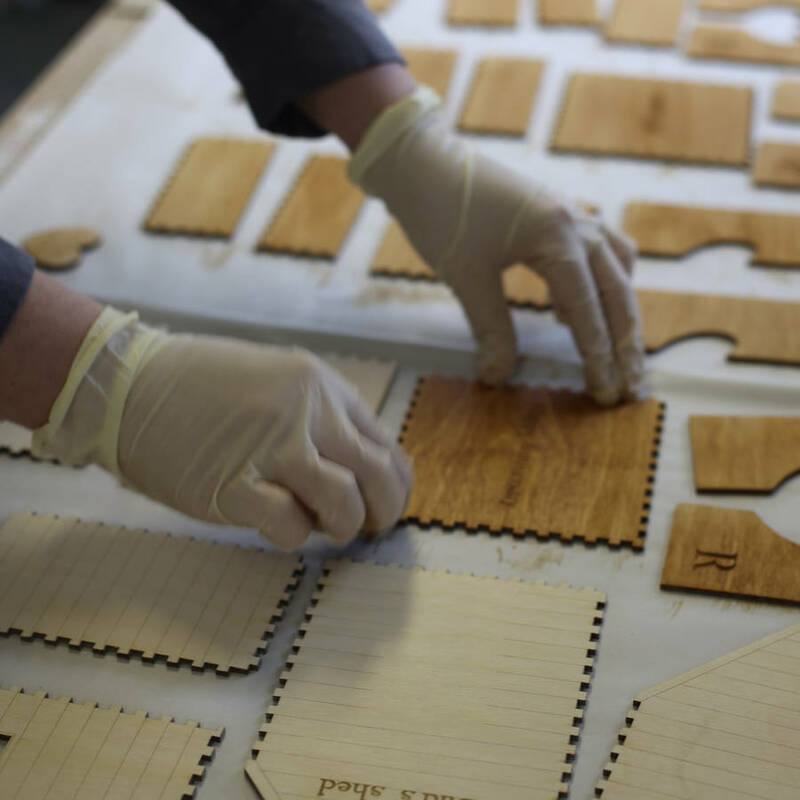 If you enter more than one, it may delay the production of your piece. Modern versus vintage maps: please remember that modern tourist names are not always marked on vintage maps, and that history occasionally changes names and territories. We can’t be responsible for political, religious or territorial persuasion and we do rely on you to provide us with specific information relating to such issues at the time of placing your order. We will always try to honour your request, discussing it with you if necessary. Specific buildings may not appear on the maps, and contemporary resorts hadn’t been built when the majority of our maps were drawn. 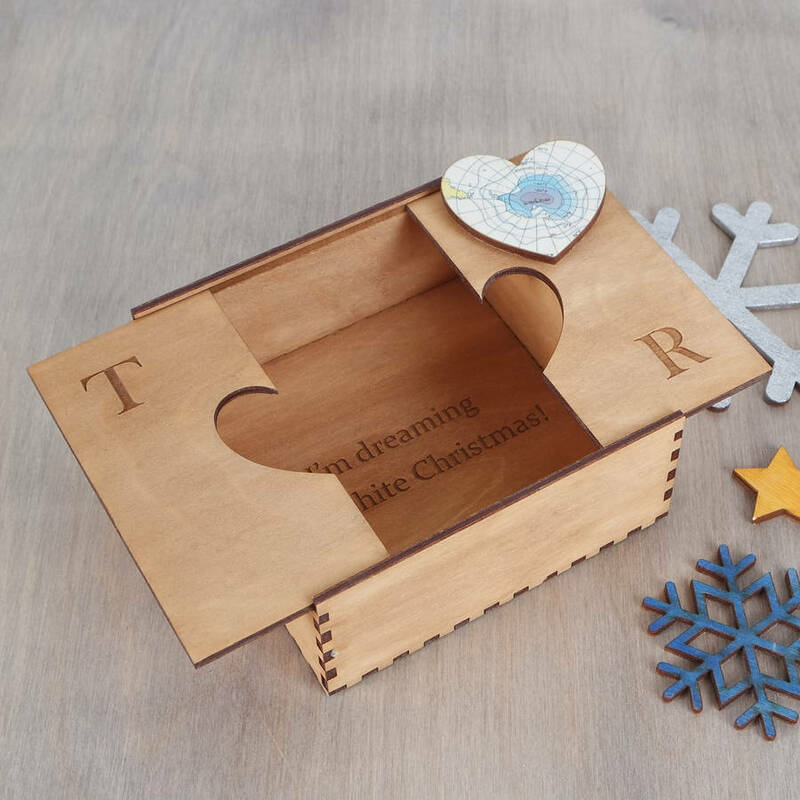 The box is made from 3mm birch ply, is hand sanded, engraved and stained with a light oak colour.